Two of the longest-tenured players in the NBA, a pair who played for a total of 13 teams over a combined 32 seasons, have both reached the end of the road as professional basketball players. 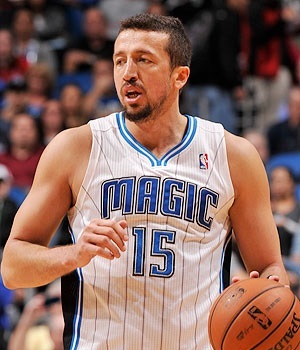 Hedo Turkoglu, a Muslim forward from Turkey who averaged 11.1 points, 4.0 rebounds and 2.8 assists over 15 seasons, announced his retirement on Friday. Turkoglu was taken with the 16th pick of the 2000 draft by the Sacramento Kings, and during his career also played for the San Antonio Spurs, Orlando Magic, Toronto Raptors, Phoenix Suns and Los Angeles Clippers. 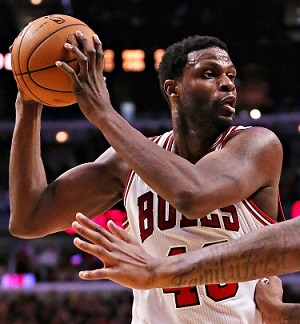 Nazr Mohammed, a Muslim center from Chicago, averaged 5.8 points and 4.7 rebounds over 17 seasons. Drafted out of the University of Kentucky with the 29th overall pick in 1998 by the Utah Jazz — then traded the same day to the Philadelphia 76ers — he also played for the Spurs, Charlotte Bobcats, Atlanta Hawks, Detroit Pistons, New York Knicks, Oklahoma City Thunder and Chicago Bulls. This is the first time in 17 years that I’m not playing in an NBA training camp. It’s kind of bittersweet. The bitter/sad part is that I’m conditioned, mentally and physically, to be playing ball right now. Between high school, college and the pros, I’ve been accustomed to getting in my best shape during this time of the year for almost 25 years now. I’ve been working out a lot and getting prepared (from force of habit) as if I were playing. I have personal goals as far as staying in shape, and it so happens to keep me prepared to play basketball. The sweet part has been eliminating the mental stress of preparing for, and going through, training camp. Even though it’s something I love to do, training camp brings stress that you didn’t even realize you had until it’s gone. Constantly wondering, “Am I ready? Am I in shape? Did I train hard enough?” I don’t have to think about that right now, which brings me a certain level of freedom (and which also explains why I’m in the best shape since 2005 when I won an NBA Championship in San Antonio). Last week, for example, I went to Michael Strahan’s suit launch party in New York for JCPenney. The other night I walked the runway in my first charity fashion show for the Woman’s Board at Rush University Medical Center (they have one of the longest-running charity fashion shows in the U.S. – this year was number 89!). I’m appreciating and enjoying the opportunity to participate in events like these. I’ve realized that over the last 20 years I’ve been told where to live and what to do. I haven’t been able to participate in events like these at this time of year. The reward has been worth it and I would do it all over again, but my life has consisted of playing basketball or preparing to play basketball lol. I’ve missed or have been excused from so many family functions and obligations that it’s pretty embarrassing (kids games, recitals, parent-teacher nights, weddings, funerals, etc.). So, if I’m really being honest with myself, I want to play basketball, but if I had to sign today or tomorrow, the answer would be “No! !” I look at it like this: I’m not willing to play the role that I’ll be needed for right now, which is to provide veteran leadership, a locker room presence, insurance in case someone gets hurt, etc. In a few months, if the right team that has an identity and a need for what I bring calls me, then maybe. Rosters are full and everybody is trying to figure out what type of team they want to be. I’ve watched training camp practices on NBA TV and I don’t have a desire to go through that right now. I don’t think I need to be on a roster – and go through pre-season – for a team that doesn’t quite need me yet, doesn’t have an identity or know what they are going to be in the future. I have an identity and I know what I bring to a team. I’d rather sit back and enjoy my family and see my kids off to school every morning than sign with a team that has so many unknowns. At the end of the day, if you don’t get on the floor, you can’t possibly give the same kind of contribution you prepare for all summer. I don’t need garbage time at this stage of my career to stay in shape. If that’s the case then I can provide that leadership and locker room presence from a managerial position. I’m actually in better shape when I’m in control of my conditioning and basketball training than I am when I’m not in the rotation. It can get pretty miserable, even doing something that you love, when you’re not able to DO that something that you love (meaning not being able to really contribute to a team with some form of playing time). I knew my role as the human victory/loss cigar was no longer in my heart when fans would tell me “good game” after a win or a loss and I wasn’t quite sure if they were trying to be funny or not about me not getting any “real minutes.” Everyone has a role and it’s a role that needs to be filled on every team, but if there’s an 18th season in my future, I hope that role includes situational minutes, minutes if someone is injured or at least match-up minutes. I want to play for a coach and with teammates that believe in my ability to contribute to winning games. I do understand very well that not everybody is going to get a ton of minutes and there are nights you may not play. But there’s a difference between “some nights” you may not play and not even being considered to play. I don’t want to repeat my experience of the last couple of seasons as the “in case of emergency” guy, which was very hard. My mental preparation is intense, and I didn’t like getting myself mentally prepared, going through my game routine, lying to myself saying “tonight’s the night I’m going to play and help us win,” then not getting the chance…over and over again. The letdown at the end of the night was tough. That experience ate at my ego and made my confidence waver. It made me wonder if I was good enough or if I still belonged in the NBA. Luckily the respect and confidence that my teammates had for me kept me motivated to work hard and stay ready. To be prepared and know there’s more than a 90 percent chance that you’re not going to play is very hard. It was a lot less playing than I expected. After a long summer of training and competing, I realize that I can still contribute but “fit” is more important at this stage in my career. So what happens now? Well, mentally, I’m preparing and taking the proper steps in the event that playing pro ball is over for me. I have an addictive personality, as most people can tell by my training. My mind is very analytical and creative. So whatever I decide to do next, I plan on working extremely hard and being very successful at it. I guess that my hard work and drive to be great will have to be channeled and poured into my next endeavor. That’s the only way I know. And while I’m preparing to move on from the game, I’m still leaving that window open a little bit! If the right situation were to present itself, I will take a strong look at it. When I say the “right” situation, I mean this: if a team needs a big man who can knock down open jump shots, can guard his man in the post, understands good team defense, who has played in every different kind of basketball offense known to man AND can provide leadership, then I am a fit. If a team only needs my locker room leadership and my Ph.D. from playing for the best coaches and organizations for the last 20 years (college included), then I’m not your man. But I may be the man you need in your front office (humble brag). Truth is, I still love this game, I still have that competitor in me and I still feel like I can help a team. And regardless of what happens, I plan on staying in basketball shape. But at this moment, I am comfortable and confident saying that I’m cool with it being over. I am really at peace. I realize how big of an accomplishment it is to have played as long as I’ve played. It’s an unbelievable feat. I’m cool with not playing ever again and choosing which path to take at this fork in the road that leads me away from my first love. Mohammed’s NBA championship with the Spurs is the highlight of a resume that includes two NCAA national championships at Kentucky. He was never a star in the pros — coming off the bench in 646 of his exactly 1,000 NBA regular-season games — but a respected locker-room leader and valued low-post defender and offensive rebounder. Turkoglu had less team success than Mohammed, despite playing in 109 playoff games versus 83 for Mohammed. Turkoglu helped Orlando reach the NBA Finals in 2009, where they lost to Kobe Bryant and the Lakers, and helped Sacramento reach the Western Conference Finals in 2002, where they lost to a Lakers team led by Kobe and Shaquille O’Neal. Individually, however, Turkoglu had the more accomplished career. He was named to the NBA All-Rookie Team in 2001 and won NBA Most Improved Player in 2008 with the Magic. He was a dangerous three-point shooter as well as an exceptional ball-handler and passer for a 6-foot-10 forward. Turkoglu came to the NBA at a time when the league was still learning to embrace players from the Europe/Asia region. He was the first Turkish-born player in NBA history, and paved the way for later Turkish standouts (and fellow Muslims) Mehmet Okur, Ersan Ilyasova and Omer Asik.